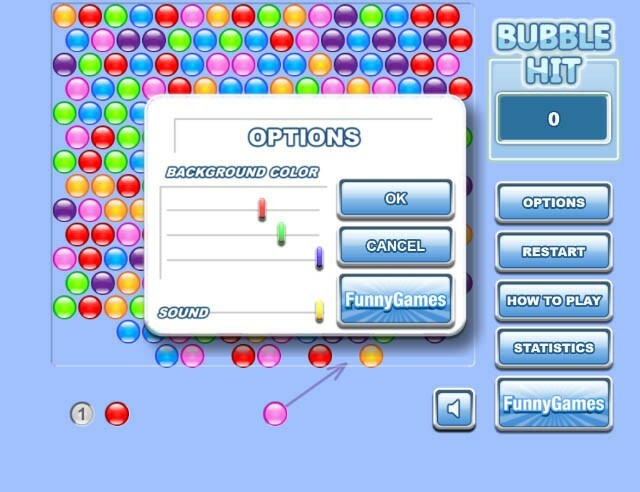 Bubble Hit is a colorful and fresh bubble shooter variant. It plays like the original bubble shooter. In Bubble Hit you have to eliminate groups of 3 or more bubbles. Free up the entire field to win. You score more points if you shoot away more than 3 bubbles at a time. The game keeps track of how many times you have won, lost and the win / lose percentage. 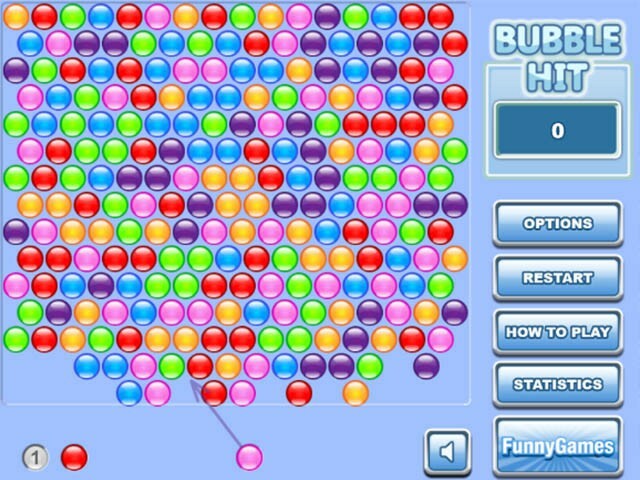 Screenshot of bubble hit with the nice colorful bubbles shown. You have a few buttons: Options, restart, how to play, statistics and a volume on/off switch. This shows the bubble hit options. You can change the background colors and the sound.